Last February, I had the good fortune to interview one of the great screenwriters of British TV drama, Roger Marshall in his Richmond home. His extensive C.V. has included episodes of The Avengers, The Sweeney, The Professionals, two plays for Armchair Theatre, the serials Missing from Home, Traveling Man and Floodtide. He was also the creator of three series: Zodiac, Mitch and (with Anthony Marriot) Public Eye. In this part of this interview he discusses Public Eye. BS. I would imagine that writing for the studio series and the film ones would have required different skills. RM. I don’t know whether the writer thinks in terms of film and studio. I’m not aware of a tremendous switching off or switching over. Obviously, when you started on The Avengers in the studio days, the Honor Blackman days, there were severe limits to what you could do. You could have four sets and two corners, that’s all there would be. So it was interesting having to work your story around this scale. But there was one that Bill Bain did called ‘Mandrake’ (24 January 1964) and he built a cemetery and it was stunning. I remember scores of letters coming in from people who lived in Teddington saying, great television but is it fair that you do all that malarkey in a cemetery, and of course it was a studio. But it was very well designed. Whenever you’re talking about Thames always remember that the budget for Thames design was that much greater than anybody else’s, so the shows always looked very good, however nonsensical. And a lot of their designers went on to become directors, which wasn’t the regular occurrence. BS. It’s true that Thames and BBC productions always tended to look much better than the other ITV companies. There’s an interesting point in 1967 when the way that television looks changes, because it goes over to 625 lines in preparation for colour. And the rules for design change overnight, in that exteriors made in the studio look much less convincing than they had done earlier. I’m always interested when I read about programmes that were made in the studio with filmed inserts, the gap between the filming of the inserts and then the studio recording. Was much rewriting ever required between filming and recording? RM. No, I don’t think so. 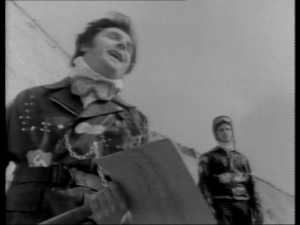 I watched some of the Brighton Public Eyes recently and there’s one where Stephanie Beecham comes to the digs where Marker’s living, and she tries to commit suicide and he saves her (‘My Life’s My Own’, 20 August 1969), and there’s quite a long sequence of him walking her up and down the seafront, watched by the police. No, as a writer you filter that in and pick it up in the rehearsals for the studio the next day or whatever. BS. That works really well in the Brighton series. I was thinking about that because I was watching an episode of the Birmingham series with my colleague (‘Don’t Forget You’re Mine‘, 9 July 1966) , and it climaxes with one big sequence that clearly required a lot of money and effort of a chase in New Street Station. That scene’s great, but the preceding scene in the studio feels odd, because Marker immediately decides to head off to the station and chase after this woman. RM. Yes, I can well remember that there was no editing of the tape in those days, because if you edited the tape then it suddenly became a different deal. I remember Alfie Burke doing something quite wrong in a scene and he said, oh I’m sorry, we’ll have to do that again and they said, no, go on. They carried on whatever he did, so eventually to force their hand he walked off the set, but they still didn’t stop, until they realized that the leading man wasn’t there anymore, but it went on. It was like trying to stop the night train. BS. There’s a lot to talk about with Public Eye. Its unfortunate that so little of the ABC series has survived. How involved were you with the last three series set in Surrey? RM. I would write the odd one or two. For the record, I thought that it got a bit cosy then. My thesis was that Marker was a loner, and he didn’t need women who’ll cook his supper or friendly policemen. I can remember when we were writing the original brochure I came across a phrase from Kipling; “He travels fastest who travels alone” and that seemed to sum up, for me, what Marker was about. Inevitably, probably, as the years went on, they needed other things to take the weight off Alfie, but I didn’t like antique shops and the like. Too cosy. BS. So you weren’t involved with the scenario of him moving to Windsor or establishing the new regular characters? RM. No, but the Brighton series was certainly me, because I had a big relationship with Brighton at the time, and it fitted very well with Marker being in Ford Open Prison – the now notorious Ford Prison! BS. The Brighton series is unusual in that it works as well as a serial. Was that an innovation at the time? RM. Oh yes! Credit to the Head of Drama, Lloyd Shirley. He was keen on the series and wanted it to go on. I said to him that I would like to do a batch that is not about the client and his problem, but about Marker, the detective, and his problem. And he said, “Well that’s very interesting, I’ll go for that. Let me know what you want and I’ll make it happen” which was excellent of him. BS. How did you reach the decision of Brighton, because so much of the mood of that series is specific to the place? RM. Yes, he was put into prison in Winston Green in Birmingham. When became obvious that he wasn’t a villain or a hard nut, they transferred him to Ford, and Ford is geographically one stop on the train from Brighton, and Brighton is a lovely place to work from. RM. 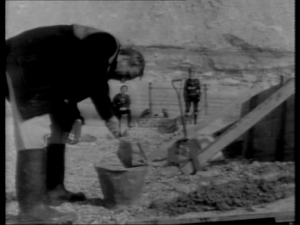 – When Marker is building a sea wall, one of the jobs that he got from the builder. And while he’s working on the wall, a couple of thugs come to duff him up. BS. 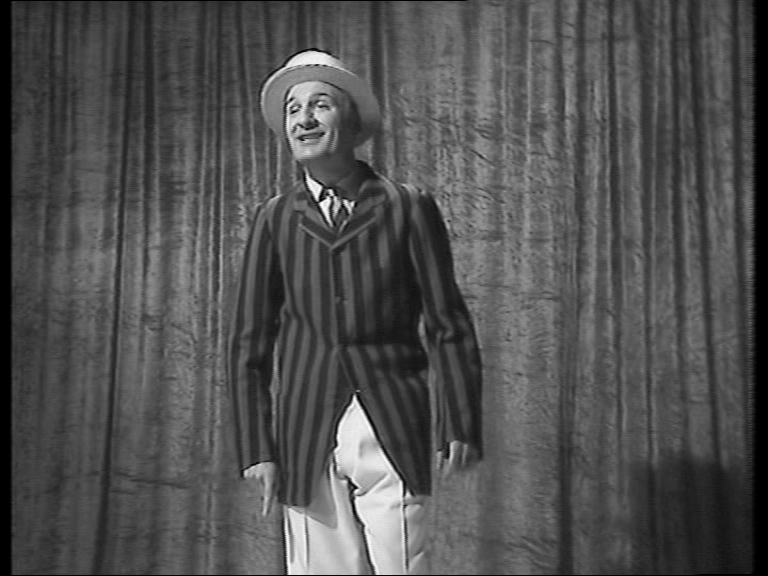 The end of the pier show one is remarkable, too (‘The Comedian’s Graveyard’, 3 September 1969). RM. With the comic, yes. 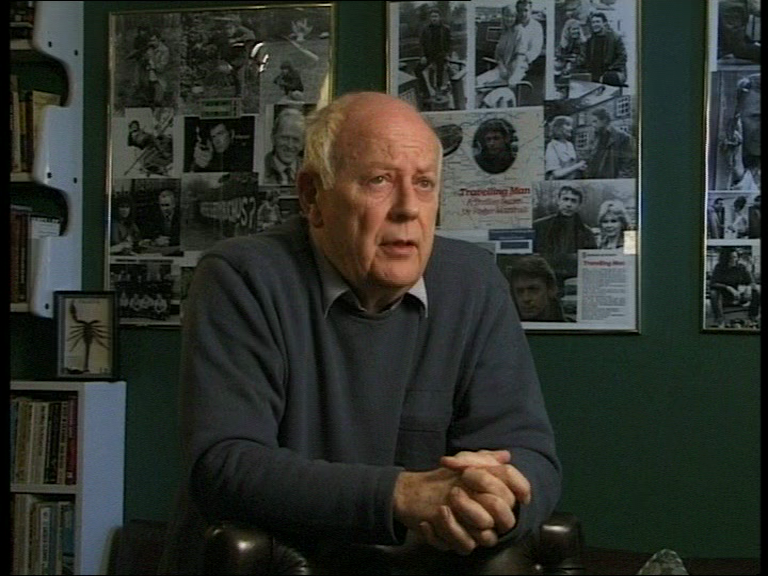 When the director, Jonathan Alwyn came he said, “Have you got anyone in mind for the comic?” I said, Alfie Marks because I’d worked with him – disastrously. So a lot of this comic was written for the Alfie Marks that I knew, even down to him building a model galleon in his hotel room when he was in Brighton. And Jonathan said, I don’t think I can work with a comedian, I’ve got Joe Melia in mind, and I said, oh, he’d be marvelous if we could get him, and he was brilliant – I worked with him since. BS. You get that sense of sadness about a comedian not being very good, that you might not get if it was an actual comedian playing the part. RM. That’s absolutely true. It’s just that when I was working with Alfie Marks he was working in Brighton, and we went to see him in this little kosher hotel on the outskirts of Hove, so it was Alfie Marks in my mind. BS. The Brighton series looks more elaborate and expensive than the previous ones. RM. I’m sure that it wasn’t. It’s just easier to make Brighton look good than Birmingham. BS. I thought that it might have been because ABC had changed into Thames. RM. It’s possible. Certainly, the move to Birmingham was precipitated by the fact that ABC was a Midlands company. It was interesting for me that the Brighton series was very popular, which was lovely. I remember that we all went to Ford Prison when we were doing the recce, and the designer was there and they duplicated the size of the cells absolutely to the inch, and when it was started it was reviewed in the Mail by a lady called Virginia Ironside who said that the sets were ludicrous, that any prison cell that you see on television was much bigger than the reality! BS. I think that I’m right in saying that the Brighton series includes a lot more location filming than the previous series had. In the episode where Marker confronts the bikers on Brighton Beach, that sequence is all on film and goes on for eleven minutes. RM. Really? Well, that’s the director making a statement, isn’t it? I didn’t know that. BS. It’s interesting how that episode works dramatically – A showdown with two toughs is always a good way to end an adventure story. 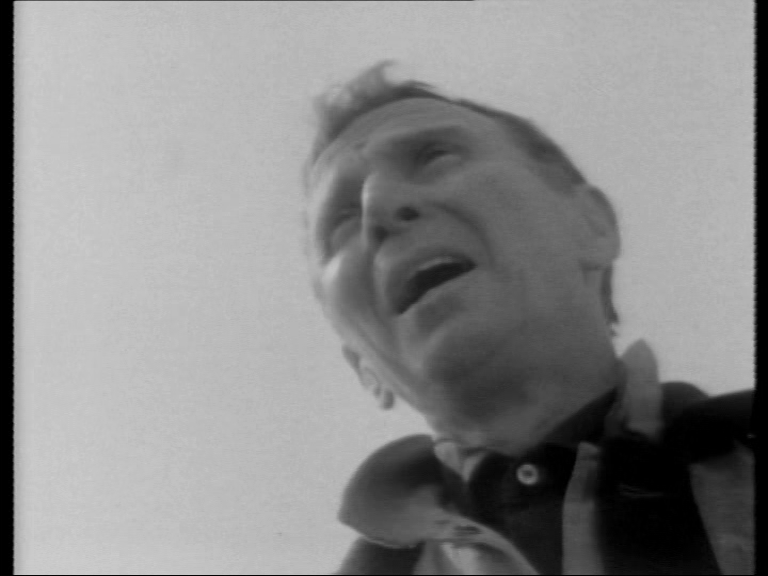 You could compare it with your episode of Survivors (‘Parasites’, 2 June 1976, BBC1) where a similar sequence is shot on OB and there isn’t the opportunity to cut the scene so dramatically. RM. The only interesting thing about Survivors is that it features canals and barges, which became a recurring theme later on for me. BS. For the viewer, that episode of Survivors is surprisingly brutal. For the first ten minutes, Partick Troughton arrives on his barge and is a mystical Doctor Who-type character, and you think, oh this nice old man is going to improve things, and then the yobs murder him. The juxtaposition between the gentle and the nasty is quite distinctive. RM. Well, it was always an idée fixe of mine that you put your girlfriend or your wife and your two children on this barge and you go sailing off and you don’t know where you are, you’re completely at the prey of anybody. I wrote one story where they’re going under a bridge and a bloke leans over and spits and it lands on the girl’s head – and suddenly you’re into a dramatic incident. RM. Yes, Marker was always pushed for another fiver, particularly in the beginning. In the very first series his office was supposed to be within sight and sound of Clapham Junction, and you could hear the announcements at his window. BS. And in the Birmingham ones his office is above a timber yard, which has the same sort of effect. And the way it works spatially is that most episodes involve Marker going from his own office into someone else’s house or office and – particularly through Alfred Burke’s camera sense, how Marker responds to the room – it gives the viewer such a sense of narrative and character even without dialogue. RM. Yes, that’s absolutely true. It’s a big personal regret of mine that we didn’t. I won’t say anything against Alfie if we sit here for a year, but he turned it down, and I think he was wrong. Because he feared that it would just become cops and robbers and chases to utilize the meaning of film. Well, a couple of years later Minder completely put the lie to that, and that was a really good series. BS. Do you think that you’d have had to change the mood and feel of it to make it work for Euston? BS. I saw him as the old shepherd in Oedipus at the National a couple of years ago. RM. Its very interesting, he’s too old to get insurance, so when the National called him he said, I’m sorry, of course I’d love to, but I’m too old to get insurance. And the director (Jonathan Kent) said, I’ll take the risk – whether he told the powers that be what he was doing, I don’t know. Because prior to that, he’d been offered a part in Aristocrats at the National, and he didn’t get it for the reason I’ve just told you. We went to see it and the character that he would have played was played by T.P. McKenna and all that you got was this voice over a speaker from upstairs, and then he came down from upstairs an hour later and he dropped dead. When we saw Alfie and he hadn’t got this part we said, we saw it and I have to say, as a fan, I’m thrilled that you didn’t get it, because it would have been an insult. He said, I understand where you’re coming from but it would have just ticked the box, getting work at the National. BS. I saw him in a lot of things at the RSC in the nineties, before I was aware of his television persona. RM. Unlike a lot of actors, when a series of Public Eye finished you’d say to Alfred, what’s next and he’d say, I’m going to do a Strindberg in Oslo or something. He was always doing something, something very different, and usually very challenging. He didn’t just sit on his money and dream, he was off. This entry was posted in Interviews, People and tagged Alfred Burke, BBC, Interviews, Public Eye, Roger Marshall, Survivors, Thames Television. Bookmark the permalink. Well, regarding interviews with Alfred Burke; I accessed the link kindly suggested to me by billysmart. I thought it ok, ‘though would have preferred more personal information, especially regarding AB’s reason for declaring himself a Conscientious Objector, when called up during the Second World War. Unfortunately, he doesn’t mention this at all in the interview. His only mention of his activity during the war refers to being “invalided out”. Presumably, he was referring to working on the land, as according to Wikipedia he was “…ordered to…”, as a consequence of his declaration of being a C.B. But an interesting pleasent-enough man.